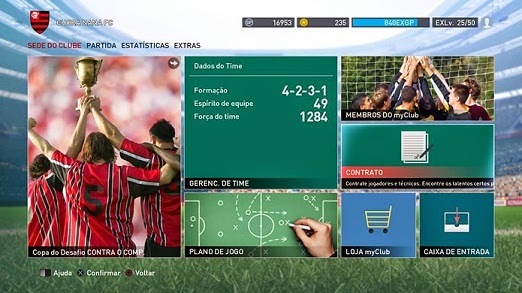 PES 2015’s MyClub is one of the most acclaimed by the players, and this is due to the fact that it allows each gamer to group his club in the game. And to succeed, you need to hire team members and leading Coaches, forming a strong team to win the online and offline tournaments. Check out how to do this below. Step 7. If you have not so much money, you can always use the most basic business, which are released as you win games. Every businessman, alone, has a most striking feature, as the player's skill or position that it will make available to you, plus the percentage chance of it having a high overall. But, wait a while and join entrepreneurs to generate best players. You can have three agents combined, which will result in higher chances of getting aces.